Please note this web page is not intended to provide legal or financial advice and is not exhaustive in covering the topics included. 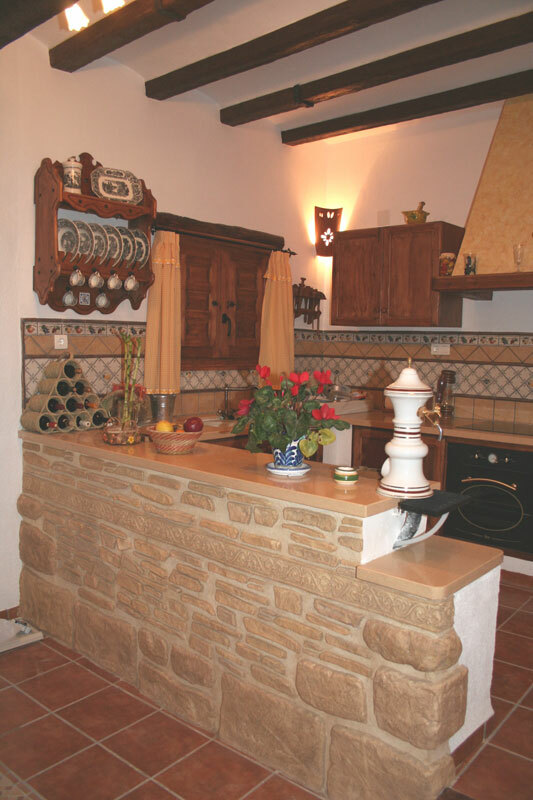 Regard the information as a simple guide on how things are done when buying property in Spain. When you buy a property in Spain you will pay a transfer tax, called the "Impuesto de Transmisiones Patrimoniales". This tax is based on the value written into the "Escritura" or title deed, which is nearly always less than the commercial price of the property. In Andalusia the transfer tax is 8% of the "Escritura" value, elsewhere it is 7%. 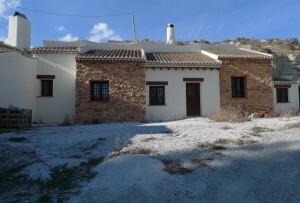 Taking a typical unreformed cave house with an escritura value of 30,000 Euros, your transfer tax will amount to 2,100 Euros. This, of course, is a one off payment, due within thirty days of signing the Escritura. It is illegal not to do so. You could incur penalties if detected. You will minimise your capital gains liability when you come to sell your property. It is helpful if you ever need to enforce any builders guarantee. Under-declaring does not help you, it only helps the seller. Warning. You do not pay the transfer tax based on the price you pay for the property, which often includes agent's fees. The tax is always based on the escritura value, which is less. When you receive your Escritura Publica you should see a receipt in the back stating the Transfer tax paid. You can add the cost of the build work to the declared value on the escritura. This will reduce your capital gains liability when you come to sell the property. If you do not pay the IVA you will have greater difficulty enforcing any guarantees that the builder has given you if things go wrong. Taxes you pay every year. Although the taxes in this section do exist the vast majority of non-Spanish cave owners do not pay them because they have not bothered to obtain an NIE or taxation number. The taxes themselves often have a very low value for cave homes and are usually paid at the time the property is sold. However you should be aware the taxes exist and it is then your choice as to whether or not you elect to pay them. The Spanish tax authorities make the assumption that if you are a non-resident and own a property in Spain you will derive an income from it. The annual income is calculated by taking the official property value "valor catastral" and multiplying it by 2%. If the property is jointly owned the valor catastral is divided by the number of owners, normally two. If you are a non-resident the tax payable is calculated by multiplying the income by 25%. With respect to cave homes, if the floor area of the cave is less than 100 m� then the valor catastral will be €6,000. If you cave is bigger than this, the valor catastral will rise based on a formula related to floor area. As an example, your cave home, jointly owned by you and your partner, has a floor area of under 100 m� and a valor catastral of €6,000, the calculated income per owner is 3,000 X 0.02 = €60 and the tax is 25% of this figure i.e. €15. Residents do not pay "property income tax" on their principal or first property, only on second or third properties. An annual tax payable on the "real sale value", (always higher than the valor catastral) is payable on your property. This wealth tax is know as the "impuesto extraordinario sobre el patrimonio" or simply "patrimonio" tax. Residents and non-residents are treated differently. A resident is supposed to declare his taxable assets worldwide while a non-resident declares only his assets in Spain. The calculations for wealth tax for a resident are a little complicated, in essence a resident couple will not pay wealth tax on the first 300,000 Euros of their assets. Non-residents pay 0.002% of their assets in Spain as wealth tax, which again is divisible for joint owners. For example a husband and wife owning a property with a sales value of 100,000 Euros would each pay 100 Euros annually as wealth tax. The real estate tax or "Impuesto sobre Bienes Inmuebles" or "IBI" for short is an annual tax related to the valor catastral of your property. It varies widely with location but in rural properties well away from the coast it can be as low as 60 Euros a year. Taxes you pay when you sell your property. 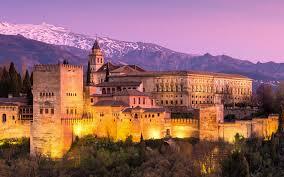 When you buy a property in Spain you become liable to capital gains tax at the time you come to sell your property. This applies both to residents and non-residents. As a non-resident you are currently liable to pay a flat rate of 18% of the increase in the value on the escritura between the time of purchase and the time of sale. Thus if your escritura value has risen by 10,000 Euros you will have to pay 1,800 Euros capital gains tax.There are factors for reducing the capital gains tax if you have owned the property for two or more years. 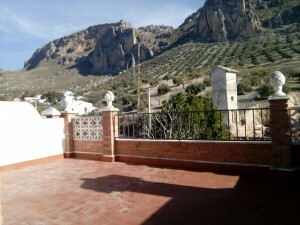 If you are buying a property from a non resident then you are required to withhold five per cent of the escritura price (this reduces to 3% in January 2007) and pay this directly to the Spanish Tax Authority, thus making sure the seller does not leave the country with the capital gains tax in his pocket. Thus if you are a non-resident and own a property in Spain you could consider becoming a resident, which is, nowadays, a relatively simple process. As a resident you will be liable to pay capital gains tax "Impuesto sobre el Patrimonio" at the lower rate of 15% which is also calculated as part of your Spanish income tax. 1. Being over 65. If you are over 65 and have lived in your principal residence for more than 3 years you can sell it without incurring liability for capital gains tax. 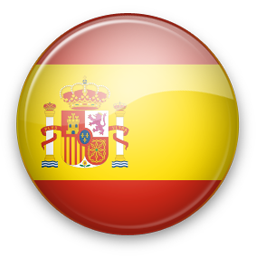 This applies whether or not you are buying another property in Spain. 2. Buying another property in Spain. If you are selling your principle residence in Spain and buying another of equal or greater value you will get complete relief from capital gains tax. If you are buying a property with a lower value you will get proportional relief (relative to the property values) from the tax. 3. Special circumstance. 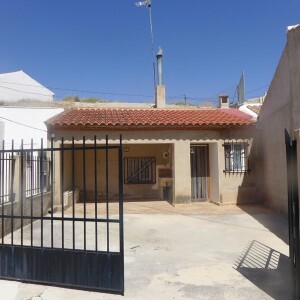 There are two quite special situations that apply to the capital gains tax rule that are unlikely to apply to a person coming to Spain to buy a property so I am not going to go into them here. If you are a non-resident you might feel that you can escape the system, you might well be able to until the day comes when you want to sell your property. At that time the buyer will be required to retain 3% of valor catastral of your property and then pay it to the tax authority or "Hacienda". The Hacienda will deduct your estimated property tax obligations for the last four years before paying you the balance remaining, if any. If you are non-resident and the owner of more than one property in Spain you must appoint a tax or fiscal representative, if you only have one property you are not legally required to do so. A fiscal representative can be any resident of Spain, whether Spanish or otherwise, usually he or she has expertise in financial affairs and can be a tax consultant, lawyer or "gestor" - a person qualified in administrative procedures. Even with one property you may find it expedient to appoint a fiscal representative. 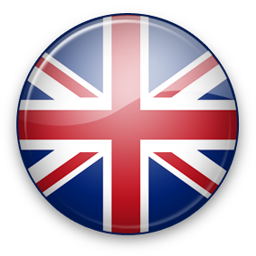 Resident and non-resident foreigners alike need a tax identification number or "numero de identificaci�n de extranjero" or "NIE" number. It is not necessary to have this number before you buy your property but it will be necessary to have one to pay the transfer tax mentioned above. In principle obtaining your NIE is a simple process, you need to present yourself to your nearest police station with a foreigners department in Baza. You will need a photocopy of your passport and to fill in the appropriate form and wait a week or so for your number. In practice it can be quite time consuming and frustrating to many people pay their solicitor or gestor to obtain the NIE on their behalf. 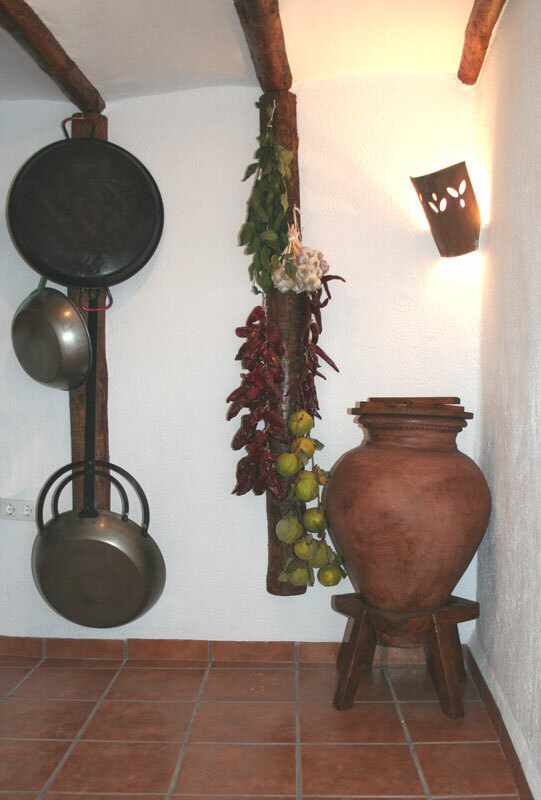 Cave house newly renovated in the Altiplano de G..."
This lovely cave house i..."